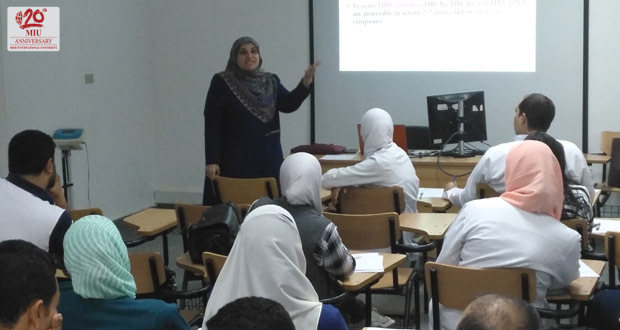 In collaboration with the national efforts to combat viral hepatitis infections, a workshop was conducted for healthcare workers (HCWs) at the Faculty of Oral and Dental Medicine on May 22th, 2017. The workshop was organized by the Staff Development Committee in collaboration with the Infection Prevention and Control Unit. 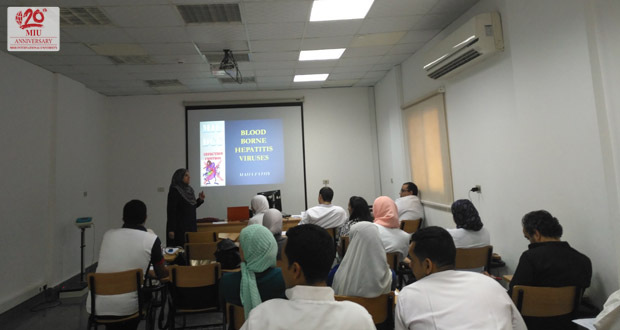 This workshop aimed to spread knowledge and raise awareness among those providing patient care in the Dental Clinics Complex regarding the epidemiological and clinical characteristics, diagnostic approaches, exposure risk and preventive strategies of blood-borne hepatitis viruses. A total of 20 teaching assistants and clinicians attended and actively participated in the workshop. A questionnaire was distributed among attendees to collect data regarding HBV vaccination status and history of previous exposure incidents. Attendees evaluated the workshop and the results were as follows: 25% of them perceived it as excellent, 45% very good and 30% good. Many of the comments were about the need to organize more workshops about the topic and to provide printed handouts.